Firstly let’s define the difference between a chain and a necklace in jewellery terms. Chains for jewellery are generally sold independent of any enhancement. Necklaces on the other hand are defined as a chain attached to jewellery such as a pendant or with a pendant added to the chain. So now moving forward we are realistically just talking about chains for jewellery as opposed to necklaces, this is because a necklace without a pendant is simply a chain. There are a great number of jewellery chain styles available, some more simplistic than others however all are quite elegant and you will find wearing different styles for different occasions a lovely pleasure. Ranging from Ball Chains to Snake Chains, at The Jewellery Shop we show you the detail so you can make a more educated purchase. There are numerous types of clasps for chains, these range from the common Boltring or Spring Ring clasp to the conspicuous Bayonet clasp. 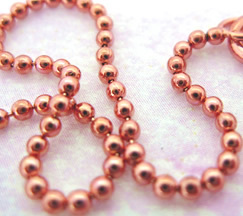 Here you can learn more about various styles of clasps for jewellery chains. There are also Magnetic clasps, Friction clasps, Cartier clasps (similar to Lobster clasps), Albert Swivel clasps, Snap-Lock clasps, Slide-Lock claps, S-Hook claps and Trigger clasps however these are far less common or simply variations of others listed. So what size necklace should you buy? Here is a brief summary to help you buy chains online and shop for necklaces that fit. 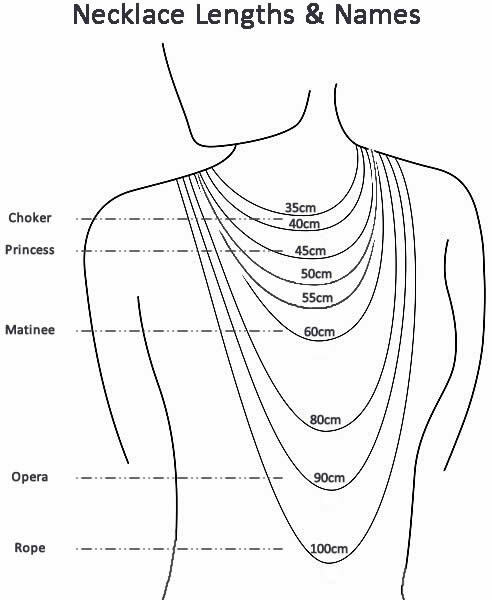 Princess – 45 centimetres or 18 inches, Princess length necklaces hang over collarbones and are the most common length. Matinee – 60 centimetres or 24 inches, Matinee necklaces are quite a common sight these days often with larger pendants for show. Opera – 90 centimetres or 35 inches, Opera length necklaces hang over blouse, dress or shirt for dramatic effect. Rope – 100 centimetres or 39 inches, Rope length necklaces fall as far as the navel and are usually worn as a beaded necklace or simply as a chain. 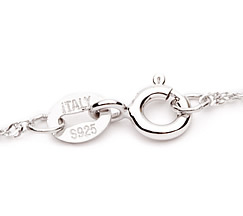 When shopping online for chains and necklaces online, be sure to know the length of the chain you like to wear. To find out more about jewellery chain lengths, visit our buyers guide.